"I have tried other brands and can say that these are by far my favorite!" VanJohan's new Hans line packs the same great benefits as the Markus collection, but with many new improvements! Its moisture-wicking abilities and luxury feel are now coupled with a design that is more durable to withstand even more washes. Can a fabric this soft get even softer? Well, we did it and you will feel the difference with the Hans ultra premium Collection. VanJohan is the only underwear brand with a unique support system that gives you a bolder look while preventing sticking, itching, and odor. VanJohan outperforms in situations where you are sitting all day long, working out at the gym, or just standing in your underwear. Moisture-wicking. Odor resistant. Bamboo material. Try out the underwear brand with a unique support system that gives you a bolder look while preventing sticking, itching, and odor. 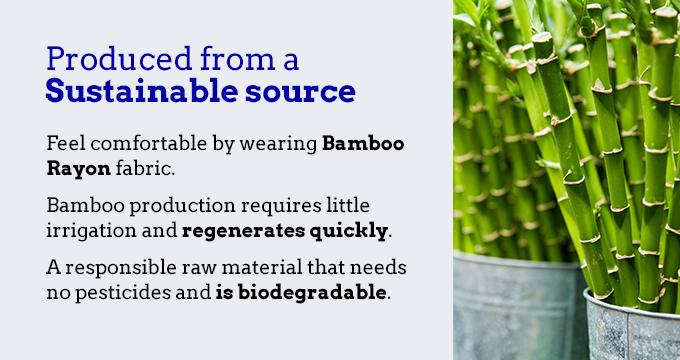 - BAMBOO MATERIAL: Once you go bamboo, you will never go back! This incredibly soft material is what makes this underwear perfect for any situation. - MOISTURE WICKING: No matter the activity, this underwear was designed to evaporate sweat away. Which is great for those long sitting office days. 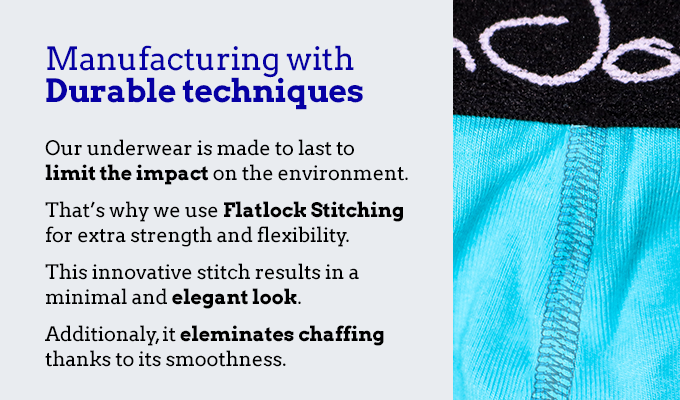 - FLATLOCK STITCHING: Reversing the seams create a much softer and more enjoyable experince. Say goodbye to itching. - BOLD LIFT SUPPORT: The only pair of underwear designed to lift and give you a bold confident look that prevents pinching, squeezing, and the need to readjust. - BREATHABLE: Our underwear was made to breath which perfectly fits your active lifestyle or long periods sitting. - ADJUSTABLILIITY: Your underwear should move with you. The unique lift support adjusts to your movement and ensures everything is lifted out of harm’s way. At VanJohan, our mission is to provide you with the best underwear and the best experience possible. We really do believe that our underwear will amaze you and we stand by that. If there ever is a reason you are not satisfied, we will give you a 100% refund, with no questions asked! That is how committed we are to providing you with the best underwear possible. All refund requests must be made within 30 days of purchase. Please provide proof of purchase and email us at returns@vanjohanunderwear.com. Note: The guarantee only applies to our product and service we provide. Anything out of our control (shipping delays etc) does not apply. The garments must be returned in the original packaging, we will provide the shipping label. Once it is received, the refund will be applied. Please allow for 5-7 business days for your account to be credited. VanJohan offers shipping worldwide. We will do our best to provide shipping to as many places as possible, although, in some circumstances shipping can be difficult to ship to certain countries or territories. If shipping to a specific location is not possible, we’ll contact you to see if we can find another solution. In the unfortunate circumstance that this is not possible, we will refund your money. Shipping laws are different in each country, It is your responsibility to check with your Customs office to verify whether the country to which you are shipping permits the shipment of your products. VanJohan Wear is not responsible for any direct, indirect, punitive, or consequential damages that arise from improper international shipping practices; however, we will look at it from a case to case basis to see how best we can solve the issue. All refund requests must be made within 30 days of purchase. Please provide proof of purchase and email us at returns@vanjohanwear.com.